According to Adrian Wojnarowski of Yahoo Sports’ ‘The Vertical’, the Philadelphia 76ers have promoted Brandon Williams to chief of staff. In the newly created position Williams would report directly to general manager Sam Hinkie, where he would have influence on player development, agent relations, and recruiting, according to the Yahoo Sports report. Williams had previously been the general manager of the Delaware 87ers, the Sixers’ NBA Development League affiliate. Williams served a dual role, as he was also in basketball operations with the Sixers, where he was involved in player personnel and scouting. 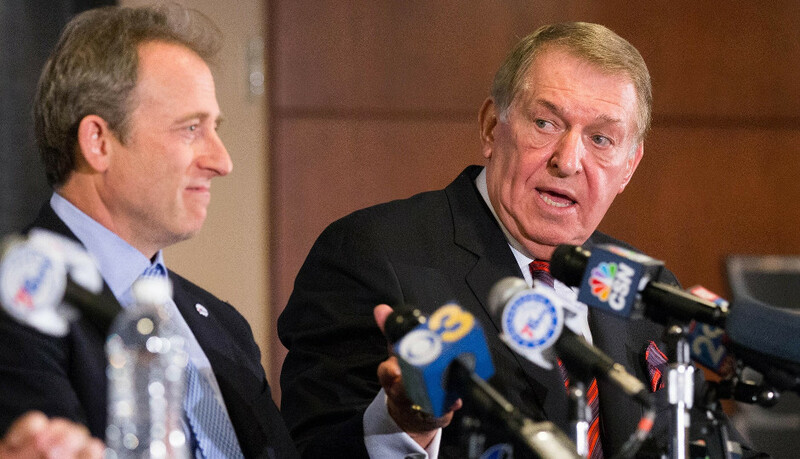 Included in the Yahoo Sports report was more information regarding the power structure within the Sixers’ front office. The report did specifically mention organizational moves involving basketball operations, which could mean just staff decisions, but it would be an odd dynamic for Colangelo to have final say over the additions to the front office without also having final say over the decisions the front office has the ability to make. Deciphering the organizational flow chart has been a popular topic of conversations for Sixers fans ever since the surprising announcement that Colangelo would be joining the front office last December. Colangelo initially stated that Hinkie would retain final say in the decision making process, although that was seemingly contradicted when Colangelo made an appearance on 94 WIP where he said he wouldn’t have come to a situation where he could be overruled. If true, this report would shed at least a little bit more light on the organizational hierarchy of the Sixers.